Our Standard Featheredge and Weston Closeboard Garden Fencing Panels from Grange are finished off after manufacture with a pressure treated green treatment or dipped in golden brown for the gold treatment. The pressure treatment applied to these designs of vertical wooden fencing aids in protecting the panel against the elements. A heavy duty panel made with 100mm featheredge boards and capping rail fixed to a sturdy frame. This featheredge panel is dipped in golden brown to protect the timber from wood rot. These robust panels are finished off with a pressure treated green treatment. 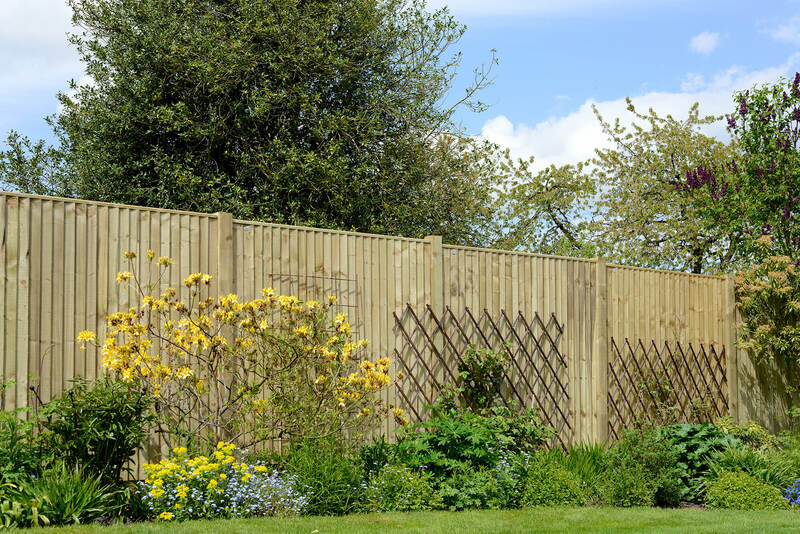 These stalwart timber garden fence panels are manufactured using 100mm square edged vertical boards; the thickness of this particular timber closeboard garden fencing panel is 47mm. The pressure treatment applied to this aids in protecting the panel against the elements.